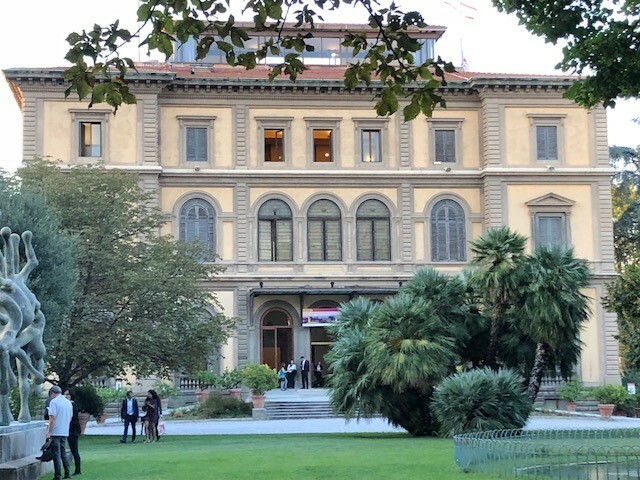 FAC presented on RESILENS and FORESEE at the 20th Congress of the International Ergonomics Association in Florence last week. There were leading, international keynote speakers for each of the five days of the Congress, including Patrizia Asproni, President at the Industry and Culture Foundation, Dhurjati Majumdar of the Defence Research and Development Organisation, Ministry of Defence, Govt. of India and David Kirsh, from the University of California San Diego. Managing Director, Professor William Hynes, delivered a presentation on the RESILENS European Resilience Management Guidelines for the session on ‘The development of Resilience Management Guidelines to protect Critical Infrastructures in Europe and Worldwide’. The session included work from other DRS-7 projects such as DARWIN, SMR, and RESOLUTE and was chaired by Dr. Luca Save of Deep Blue Research. William highlighted the RESILENS ERMG which is of great value to CI oversight agencies; emergency response and civil protection agencies; and government departments and relevant policy developers. C) detailed strategy for its successful implementation, integrated into the infrastructure life-cycle. William also spoke about FAC’s experience in coordinating urban security and strategic planning European Projects (e.g. HARMONISE; RESILENS and FORESEE) and stressed the applicability of resilience guidelines for a stronger, safer Europe. Future Analytics Consulting Ltd is a leading town planning, socio-economic research and data analytics consultancy, specialising in delivering evidence-based solutions across multiple sectors. For further information, visit www.futureanalytics.ie email info@futureanalytics.ie or contact the FAC office on +353 (0) 1 639 4836.